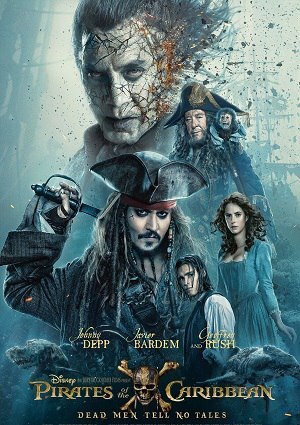 This is the fifth installment of the hit series Pirates of the Caribbean. In a flashback where you can see the little son of Will Turner and Elizabeth Swann 10 years after killing Davy Jones and becoming the captain of the Flying Dutchman. A few years later, Henry Turner is seen working as a cabin boy, seeing that they are approaching the Devil’s Triangle, and trying to warn the captain by skipping his work, which is why they rip off his sleeves, calling him to traitor, when they enter in the triangle and are attacked and massacred by the evil Spanish captain Armando Salazar and his ghostly crew. They leave Henry alive to find Jack Sparrow and tell him that he is looking for him and that he will find him.